Lungfish are freshwater fish living in Africa, South America and Australia. They are known to have retained characteristics that are primitive to their group Osteichthyes, such as the ability to breathe air. 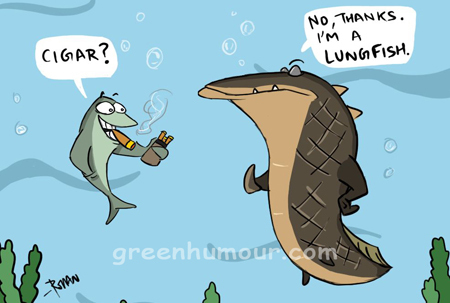 All lungfish have two lungs, except the Australian Lungfish, that has just one. The lungs are homologous to those of tetrapods. These are divided into numerous air sacs to maximize the area for gas exchange unlike the vascularized gas bladders of other fish, which are simple sacs without any complex internal divisions.